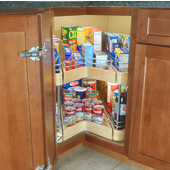 Kidney-shaped lazy susans are designed to work with corner cabinets that have unattached double folding doors. 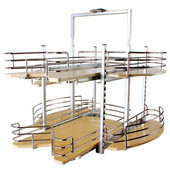 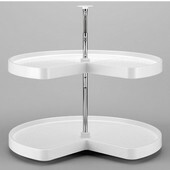 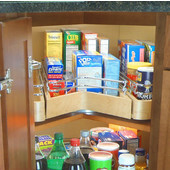 Independently rotating shelves operate smoothly and keep things within reach. 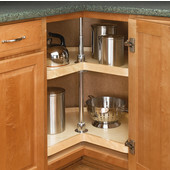 Kidney lazy susans can be mounted after the cabinets have been installed, so they're the perfect storage solution for older homes as well as new constructions. 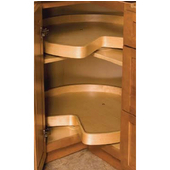 Available in polymer, wire or wood, kidney-shaped lazy susans come in sets of one, two, three and five shelves to accommodate kitchen cabinets of all sizes. 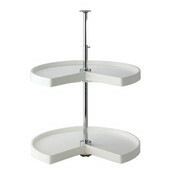 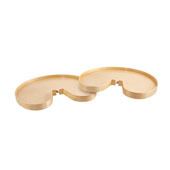 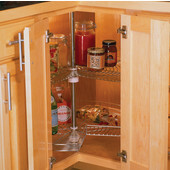 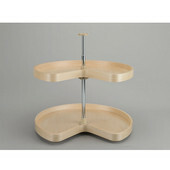 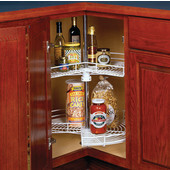 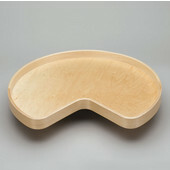 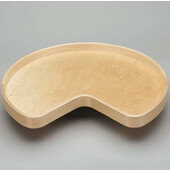 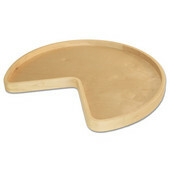 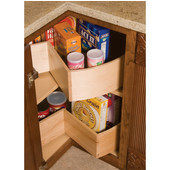 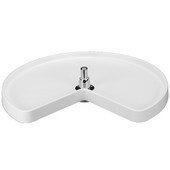 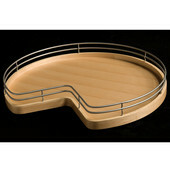 At KitchenSource.com, we have a wide range of kidney lazy susans from brands you trust, like Amerock, Hafele, National Products, Rev-A-Shelf and Peter Meier, so you can find the ideal kidney lazy susan to fit your cabinet dimensions.